Does the HTML5 video player converts Youtube videos? If you have downloaded some Youtube videos and want to convert them to HTML5 formats for your website, you can use this HTML5 Video Converter. It can convert Flash FLV videos, Youtube video and many other popular video types. How to convert Youtube to HTML5 video? 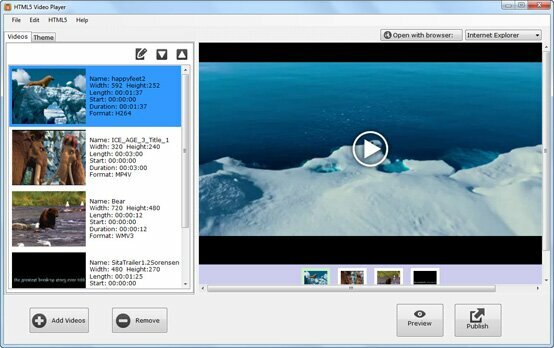 This HTML5 video converter made the encoding of Youtube videos very easy. You can simply following bellow 3 easy steps to get it done quickly.